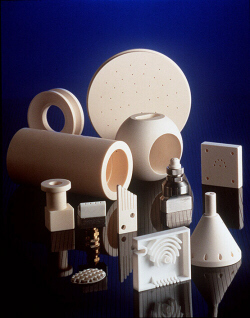 Ceramics, as is pointed out in the article ceramic composition and properties, are traditionally described as inorganic, nonmetallic solids that are prepared from powdered materials, are fabricated into products through the application of heat, and display such characteristic properties as hardness, strength, low electrical conductivity, and brittleness. Advanced ceramics represent an “advancement” over this traditional definition. Through the application of a modern materials science approach, new materials or new combinations of existing materials have been designed that exhibit surprising variations on the properties traditionally ascribed to ceramics. As a result, there are now ceramic products that are as tough and electrically conductive as some metals. Developments in advanced ceramic processing continue at a rapid pace, constituting what can be considered a revolution in the kind of materials and properties obtained. Oxides : alumina, beryllia, ceria, zirconia. Oxidation resistant, chemically inert, electrically insulating, generally low thermal conductivity, slightly complex manufacturing and low cost for alumina, more complex manufacturing and higher cost for zirconia. 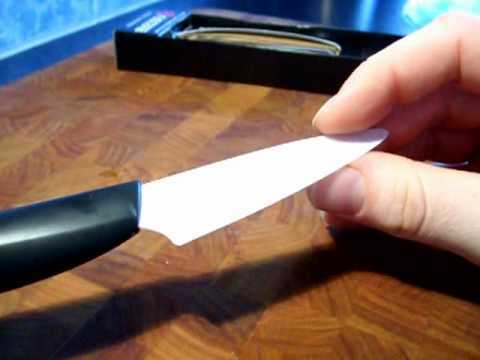 Nonoxides : carbide, boride, nitride, silicide. Low oxidation resistance, extreme hardness, chemically inert, high thermal conductivity, and electrically conducting, difficult energy dependent manufacturing and high cost. Composite materials : particulate reinforced, fiber reinforced, combinations of oxides and nonoxides.Toughness, low and high oxidation resistance (type related), variable thermal and electrical conductivity, complex manufacturing processes, high cost. The 20th century has produced the greatest advancement in ceramics and materials technology since humans have been capable of conceptive thought. 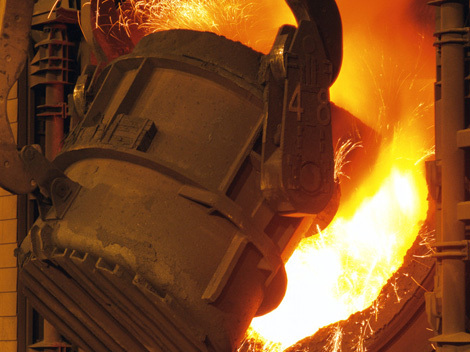 The extensive metallurgical developments in this period have now produced almost every conceivable combination of metal alloys and the capabilities of those alloys are fairly well known and exploited. The push for ever faster, more efficient, less costly production techniques continues today. As the limits of metal-based systems are surpassed, new materials capable of operating under higher temperatures, higher speeds, longer life factors and lower maintenance costs are required to maintain pace with technological advancements. Metals, by virtue of their unique properties: ductility, tensile strength, abundance, simple chemistry, relatively low cost of production, case of forming, case of joining, etc. have occupied the vanguard position in regard to materials development. By contrast ceramics: brittle by nature, having a more complex chemistry and requiring advanced processing technology and equipment to produce, perform best when combined with other materials, such as metals and polymers which can be used as support structures. 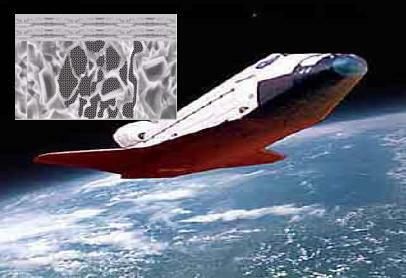 This combination enables large shapes to be made; the Space Shuttle is a typical example of the application of advanced materials and an excellent example of the capability of advanced materials. Ceramics for today’s engineering applications can be considered to be non-traditional. Traditional ceramics are the older and more generally known types, such as: porcelain, brick, earthenware, etc. The new and emerging family of ceramics are referred to as advanced, new or fine, and utilise highly refined materials and new forming techniques. These “new” or “advanced” ceramics, when used as an engineering material, posses several properties which can be viewed as superior to metal-based systems. These properties place this new group of ceramics in a most attractive position, not only in the area of performance but also cost effectiveness. These properties include high resistance to abrasion, excellent hot strength, chemical inertness, high machining speeds (as tools) and dimensional stability. High purity starting materials (powders) are prepared using mineral processing techniques to produce a concentrate followed by further processing (typically wet chemistry) to remove unwanted impurities and to add other compounds to create the desired starting composition. This is a most important stage in the preparation of high performance oxide ceramics. As these are generally high purity systems minor impurities can have a dynamic effect, for example small amounts of MgO can have a marked effect upon the sintering behaviour of alumina. Various heat treatment procedures are utilised to create carefully controlled crystal structures. These powders are generally ground to an extremely fine or “ultimate” crystal size to assist ceramic reactivity. Plasticisers and binders are blended with these powders to suit the preferred method of forming (pressing, extrusion, slip casting, etc.) to produce the “raw” material. 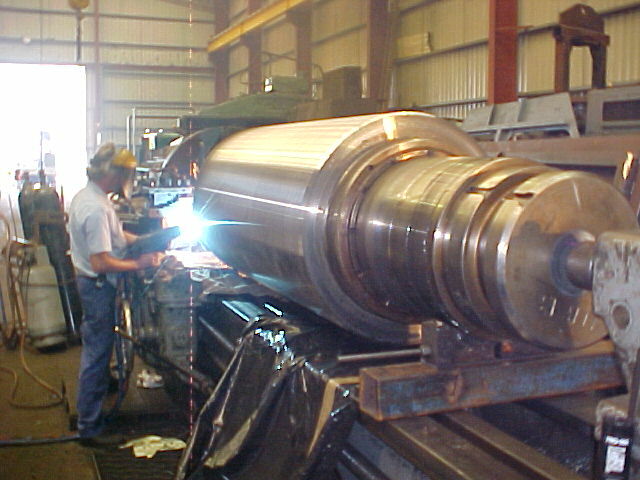 Both high and low-pressure forming techniques are used. The raw material is formed into the required “green” shape or precursor (machined or turned to shape if required) and fired to high temperatures in air or a slightly reducing atmosphere to produce a dense product. 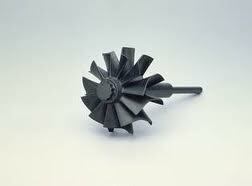 This group can be composed of a combination of: oxide ceramics – non-oxide ceramics (granular, platy, whiskers, etc. 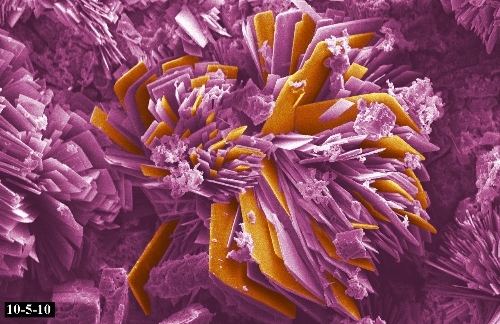 ), oxide - oxide ceramics, non-oxide – non-oxide ceramics, ceramics - polymers, etc. an almost infinite number of combinations are possible. 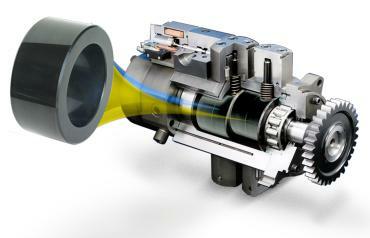 The object is to improve either the toughness or hardness to be more suited to a particular application. This is a somewhat new area of development and compositions can also include metals in particulate or matrix form. Tomorrow (even today) the quest will be to pack the highest amount of bond energy into the final ceramic compound and to impart a high degree of ductility or elasticity into those bonds. This energy level has to be exceeded to cause failure or dislocation. The changing pace of technology and materials also means that newer compounds precisely engineered to function will be developed. Just how this will be achieved and when the knowledge becomes public - who can tell! Ceramics, an old class of material, still present opportunities for new material developments.